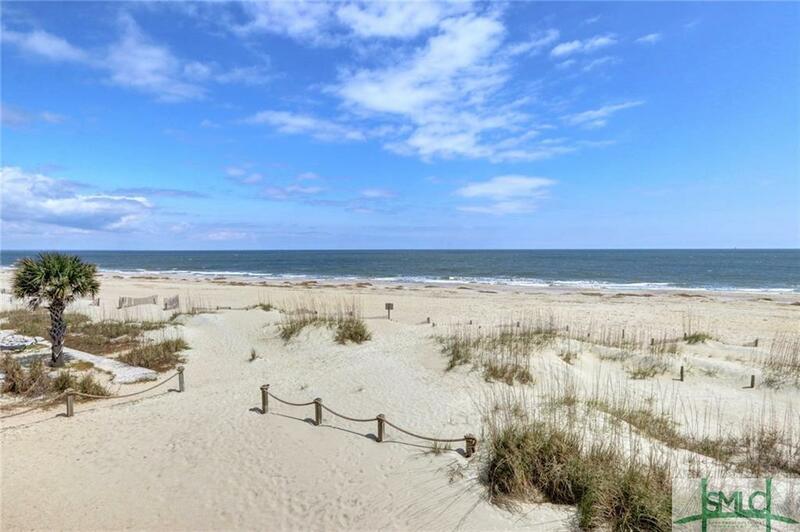 Enjoy Amazing Views of the Sunrise Over the Beach from this Oceanfront Townhouse Near the North End of Tybee with Private Access to the Beach and Only Steps to the Ocean. 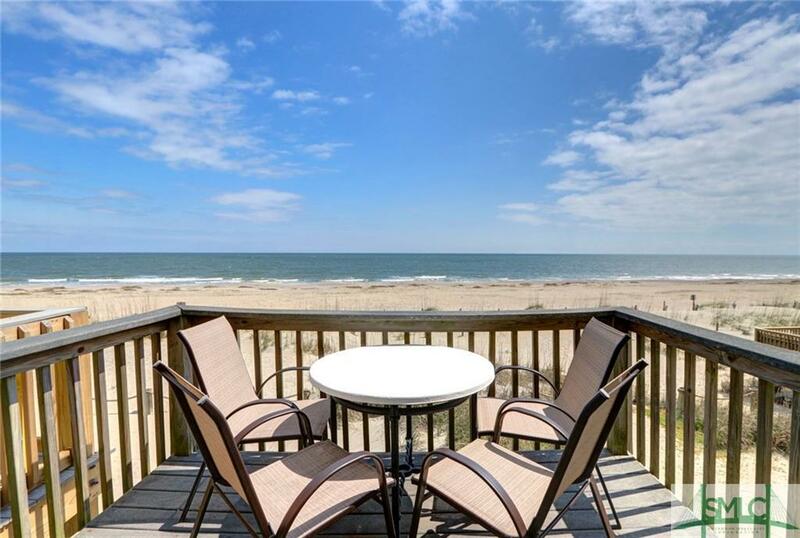 Featuring Low Maintenance Italian Marble Flooring Throughout with Tons of Light and Private Living Space on the 2nd Floor, This Home Offers The Perfect Oasis to Entertain Family and Friends or Enjoy the Income this Unit Brings with Excellent Vacation Rental History! Currently Set up to Sleep 7 with 2 Sofas in the Living Room (one Queen Sleeper Sofa), King Bed in Master and Queen Bed and Daybed in 2nd Bedroom. 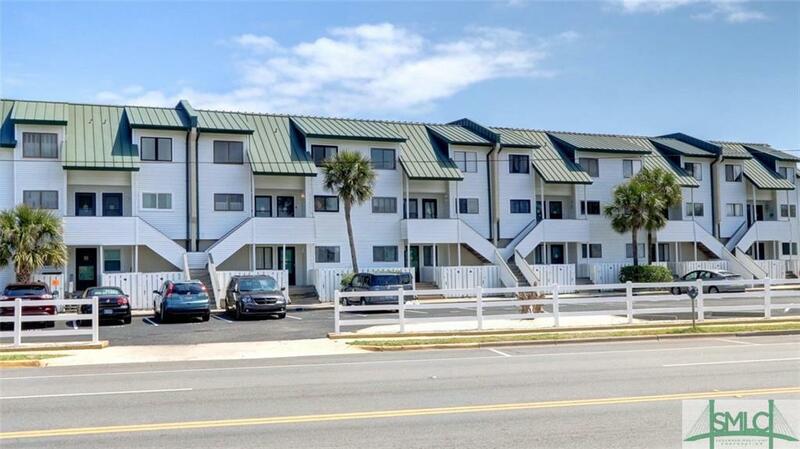 Fully Appointed Kitchen, and Dining Room with Table that Serves 6, This Unit May be Sold Furnished with All Current Rental Bookings to Transfer. 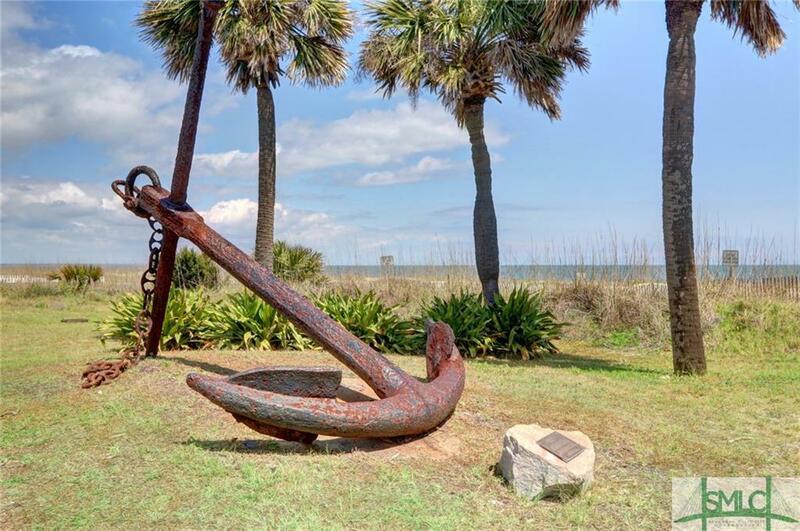 Don't Miss This Opportunity to Enjoy One of the Best Views Tybee has to Offer! !